Have you heard of the adrenal glands? They are 2 tiny little organs that sit on top of your kidneys and control quite a few actions in your body including your stress response, weight, blood sugar, blood pressure, and immune system. The adrenal glands are really quite incredible in that, as a species, they are our primary survival organs. The reality is that most of us are under a lot of stress a lot of the time. Home pressures, work pressures, money pressures, kid pressures, and all those inner pressures we put on ourselves to be perfect – eat the perfect diet, do our yoga or workout, excel at work, be the best mom on the block. It’s never ending. Most of us are somewhere on the spectrum between adrenal overdrive and adrenal fatigue. Is There A Test For Adrenal Stress? While there are tests that a functional or integrative doctor can do for adrenal fatigue, if you’re experiencing a few of the above symptoms, you can actually start to treat yourself without special testing. If you do want to get tested, you can ask your doctor to check a salivary or serum cortisol. The best testing looks at a 24-hour range so you can see where your peaks and dips of cortisol occur through the day, which can give your doctor some clues as to what might be going on to trigger these. Some tests, for example the Salivary Adrenal Fatigue Stress Test, also include DHEA, progesterone, insulin, and sIgA, which look at the effects of adrenal stress on other hormones, blood sugar regulation, and whether your gut is being stressed. While you might be feeling wired, especially if you are in adrenal overdrive or if adrenal fatigue led you to a 4 pm cup of coffee, your body actually needs 7-8 hours of sleep each night to restore your body and for your adrenals to have time to rebound. When your blood sugar drops, it tells your body you are starving – and this is perceived as danger by your adrenal system. Keeping your blood sugar steady lets your adrenals know you are not in survival mode and that they do not have to go into action. Allowing your blood sugar to dip by skipping meals, living on coffee, and then spiking it up with sugary foods when you’re famished, taxes your adrenals. The most important step to blood sugar balance is starting your day – every day – with a high protein breakfast, and then eating a diet high in protein, good quality fats, and vegetables regularly throughout the day. Don’t let yourself get hypoglycemic and avoid sugary foods that give you a blood sugar spike. TAKE A SPECIAL CLASS OF HERBS CALLED ADAPTOGENS. A daily multivitamin with B-complex and magnesium as well as a class of herbs called adaptogens are just what this doctor orders for patients with adrenal fatigue! Adaptogens are a special class of herbal medicines that have been used in Traditional Chinese and Ayurvedic medicines for centuries to promote a sense of well-being. In those systems, these herbs are considered the “Kings” and “Queens” of herbal medicines for restoring health, vitality, immunity, stamina, and promoting longevity. The term adaptogen refers to the unique ability of these herbs to help you adapt to the stress in your life. They do this by “normalizing” or “regulating” the adrenal stress response. Adaptogens help your body to cope more effectively with the demands of everyday life. They provide a sustained sense of calm, and while they increase energy, with the exception of Chinese ginseng, they are non-stimulating. In addition to their effects on stress adaptation, adaptogens have profound antioxidant and anti-inflammatory effects that protect your cells from damage from a variety of chemical exposures. Also, one of the definitions of adaptogens is that they are non-toxic, even with long-term use. You can rely on these herbs to be safe and gentle. Adaptogens are truly remarkable in that the chemicals they contain actually help to normalize adrenal function. They calm and nourish the adrenal glands, and support the processes that are controlled by the adrenals – from blood sugar and immune system regulation, to hormones and blood pressure. Amazingly, they work whether you are experiencing adrenal over-stimulation or adrenal fatigue. In fact, not only do they help you to adapt, but they also adapt to your particular biochemical needs! While some adaptogens can work fairly quickly, in just a matter of days, their actions tend to be more subtle, with benefits building up over months of taking them regularly, either in capsules, tablets, or tinctures, as discussed below. Most of my patients receive an adaptogen or a formula containing a blend of adaptogens as part of their health plan – after all, who isn’t dealing with some level of stress! I generally recommend a combination of 3 of the ones below that seem most specific to the patient — but you really can’t go wrong as long as you look at the cautions — these are very safe, and are very synergistic with each other. You can also find a combination product that includes several of these together. Not all herbs referred to in the popular media as adaptogens truly are; however, the ones below meet all the scientific criteria for being in this category. There is quite a bit of cross-over in the effects of these herbs, so they can be used somewhat interchangeably, but each also has its own slightly unique “personality,” or what it is especially known for, as emphasized in the descriptions. All of these can be used in any combination. Adaptogens work best when taken for a minimum of 3 months, and for as long as a year! Remember, there’s more to living a balanced life than just taking herbs – but these botanicals can go a long way to helping you to restore your balance, your health, and your sense of well-being. Of course it’s always a good idea to check with your primary doctor before taking supplements or herbs. Ashwagandha has over 4,000 years of traditional use in India. It is considered both a food and a tonic medicine for improving energy, memory and learning, promoting libido, and preventing premature aging. Ashwagandha is calming and anti-inflammatory. It is used to improve sleep, reduce anxiety, improve memory, and reduce inflammation and oxidative stress (damage from inflammation). It boosts the immune system, is included in the treatment of arthritis and can be beneficial in the treatment of fertility challenges. Rhodiola extract helps promote a calm emotional state and supports strong mental performance, optimal immune function, and hormonal balance. It is a key adaptogen for reducing anxiety. It improves mental and physical stamina, improves sleep, and reduces stress, “burn out,” and irritability. It boosts the immune system, decreases the frequency of colds and infections, and reduces inflammation. It is used in the treatment of chronic fatigue syndrome as well as fibromyalgia. It can be beneficial for poor appetite and as part of a treatment plan for chronic stress headaches. Cautions: Avoid if you have bipolar depression with manic behavior. Holy or “sacred” basil has been revered in India for over 5,000 years as an herb that calms the mind and spirit, and promotes longevity. In Ayurvedic medicine it is called Tulsi, which means “incomparable one.” It is used to improve energy and relieve fatigue, for its anti-inflammatory and antioxidant actions, and to lower blood glucose, triglycerides, and cholesterol. Holy basil may also protect the liver, helps with nicotine withdrawal, and elevates the mood, especially providing relief from mild depression. While this herb is related to common basil, it is a different species and common basil is not a substitute. Shatavari is considered the “Queen of Herbs” in Ayurvedic medicine, where it is beloved as one of the most powerful rejuvenating tonics for women. It is nourishing and calming, as well as hormonally balancing; it is used for irritability and many hormonal imbalances affecting the mood, for example, emotional symptoms of PMS and menopause. It is also used as a fertility tonic and may be used for vaginal dryness, low libido, and sleep problems in perimenopause. In addition, research suggests benefits for improving immunity, antioxidant activity, improved insulin secretion, reduction in gastric acidity, and the prevention of stress ulcers. It has mild estrogenic and cholesterol-lowering effects. Eleuthera is one of the most well-researched adaptogens. It is used to increase mental alertness and performance, enhance concentration and increase energy and stamina, reduce stress and fatigue, reduce dream-disrupted sleep and insomnia, and enhance immunity and improve detoxification. It is anabolic, which means it helps build muscle and prevents the breakdown of muscle as we age. Cautions: There have been rare cases of insomnia reported with Eleuthero; if you have insomnia, either select a different adaptogen, or consider taking only before noon; also Eleuthero is not recommended for those with high blood pressure. Are There Any Times NOT To Use Adaptogens? Due to lack of safety data, I do not recommend adaptogens for use during pregnancy, however they are considered safe for use while breastfeeding, and can help new moms to cope with the stress and demands of sleepless nights! I also do not recommend adaptogens if you are taking any medications that suppress the immune system, unless your doctor also approves, as there can be herb-drug interactions in this case. Dr. Aviva Romm is the mother of four grown children, a Yale-trained physician specializing in integrative medicine for women and children, a midwife, an herbalist, and an award-winning author. The recent past President of the American Herbalists Guild, a founder of the Yale Integrative Medicine program, and the author of 8 books on natural medicine for women and children including her new book The Adrenal Thyroid Revolution: A Proven 4-Week Program to Rescue Your Metabolism, Hormones, Mind & Mood . Please be aware ASHWAGANDHA should not be taken by people who has fibromyalgia, because it’s a nightshade. RHODIOLA – if I take it after noon, I’m up to late. When the fatigue starts going down, it works 12 hours for me. It was working for 8 hours just to get me out of bed when my fatigue was REALLY bad. But when I started to do better… I have been up anywhere from 2:00 AM to 4:30 AM. I take a combination for adrenals that has ELEUTHERO, with desiccated adrenal, licorice, gotu kola, but it hasn’t been enough since I gained PTSD after seeing a Great Dane hit by the commuter train (initally lived, but had to be euthanized). I have Hashimoto’s, diagnosed with Adrenal Fatigue through saliva DHEA & Cortisol, Fibromyalgia, sciatic in right hip and a bent tailbone. I’ve been fighting adrenal issues for 38 years. Crashed after PTSD went into anxiety attacks. Adding Holy Basil to the mix and Naturopathic Doctor has me on DHEA 5 mg. The raised blood pressure with little stress is under control. NOW, to get some energy back. 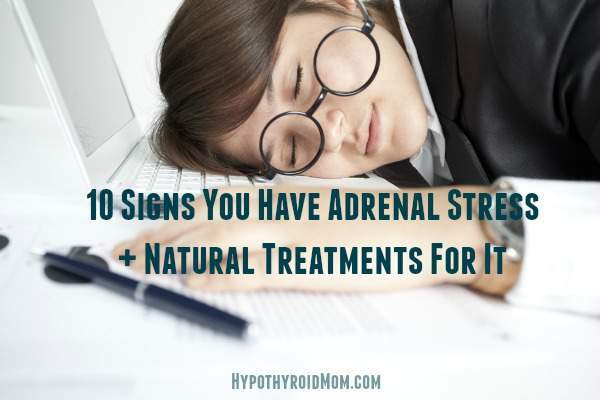 If you can point out adrenal fatigue is not the same as adrenal insufficiency/Addisons disease. This is a rare and deadly condition if not treated, and must be managed by an endocrinologist with replacement steroid treatmental. With this condition relaxation is the only one of your suggestions suitable. Adaptogens are not suitable with Addisons disease as it will affect medication/hormone levels,making a life threatening adrenal crisis more likely. But your non-supplement suggestions are helpful to all. That’s a medical stand point. This article is based on Conventional. Conventional vitamins can heal ANY adrenal heath problems. Medication such as steroids, cortisone shots, and medications only put more stress on the adrenals. Look up information on Dr. Lam. Well informed, extremely high education doctor, who can explain alternative treatments. And your body just heals on its own or does it HAVE to be a long term thing? I just started on high blood pressure medication Irbesartan. Can I still take Gaia adrenal health ? Hi! Is been a while that I’ve reading your blogs and I think you are talking to me.But even though I have an endocrinologist, he doesn’tt believe much of what I explain of your articles…I am from Costa Rica central América,and he says that doctors must not mess whith T3 but I am so tired and even though my levels of T4 are as they should,my symthons continue,and now I read this article about adrenal stress…I am so confuse,please help me,I am 55 years old,but I don’t want to believe that my life is over!!!!! Is there any way any mercy that could be garnered so that solutions are not only for women . Your gender screams inequality all over the country . Yet on ALL of the hypo sites it’s about women only and don’t give me no it’s not . The one out of 200 that is about men is not fair coverage . Many times dealing with female hormones …never a mention of a mans chemical repair . I just talked to a buddy that has had anger and PTSD issues from the Panama Invasion . Never knew he was Hypo … the VA only gives Syntroid … he feels like hell all the time . Confided in me .. when the 13 mo on the standard 2 year wait period for term life is up . A round goes in his head . I don’t blame him . There is little help out here for Hypo problems and if your a man .. well you guys all the attention . All the site are for women that;s were you make all the money and you don’t want any masculine influence nor do you want to try to understand it . Hi Duncan, I’m happy to have you at Hypothyroid Mom. You have no idea how often I’ve wished that I could go back to when I created the title of my blog and could change the name to include everyone with hypothyroidism, including men and children. My brother has hypothyroidism as well so I’m very aware that men have this condition also. You have to understand that when I created Hypothyroid Mom I had no idea that I would write more than a couple of articles and that’s it. I wrote it because I miscarried my baby due to maternal hypothyroidism and I was trying to warn women about the dangers of hypothyroidism in pregnancy to their babies so the name fit. I had no idea so many people would read this blog and that I would then start writing articles that are relevant to everyone with hypothyroidism not just women in pregnancy. I’m happy this blog reaches so many people. No offense is meant by the title. Get over it. Start your own blog for men instead of whining.